CHILLING new police tech lets road cops spy on drivers from a THOUSAND meters away as officials step up their fight against speeding. 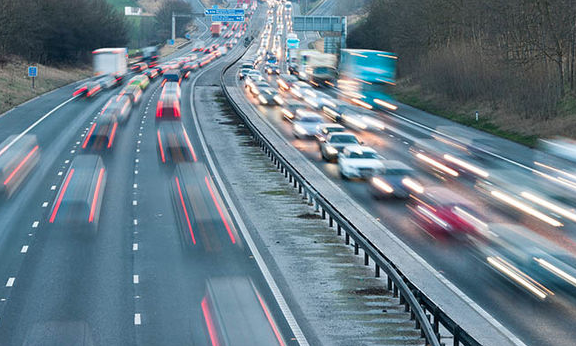 The Sun reported that “By the time a diver notices the camera on the roadside, it has already seen them behind the wheel, knows what they are doing in their seat and how fast they are travelling. Privacy watchdogs warned the intrusive technology could be used to film innocent people who are not breaking traffic laws. 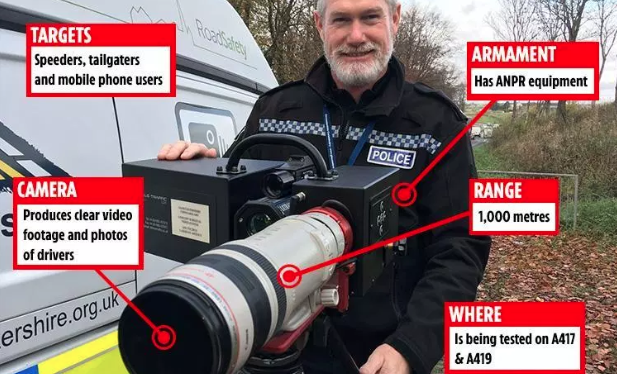 The massive portable camera – dubbed The Long Ranger – was showcased on major A roads linking Gloucestershire and Wiltshire during the launch of pilot project called Operation Indemnis. Martin Surl, Police and Crime Commissioner for Gloucestershire, said he hoped the kit would catch motorists using their mobile phones. The privacy campaign group Big Brother Watch, who we feature on this website regularly said this new type of technology brings the UK just another step closer to becoming a “surveillance state”. At TruePublica, we have consistently stated that Britain is already in the grip of an illegal government campaign to spy on every citizen in the country.